The Robots Are Coming! How will the rise of robotics and AI play out in business? 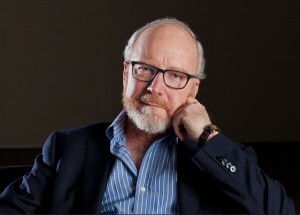 John Hagel, co-chairman for Deloitte’s Center for the Edge, explores the road ahead. And, here’s the thing: it’s exactly the kind of work that is required to accelerate performance improvement in a rapidly changing and uncertain world. The irony is that, as we move from a more stable to a more rapidly changing world, the scalable efficiency model that served us so well in the past becomes increasingly dysfunctional. Second, we as individuals are all experiencing mounting performance pressure and finding that our existing institutions are constraining our ability to develop faster, so we’ll be motivated to jump ship so that we can develop more rapidly on our own. We’ll begin to realize that, unless we can more effectively integrate our passion with our profession, we will never develop as rapidly as our rapidly changing environment requires. As the means of production become more affordable and our ability to commercialize our work through platforms increases, we will find this a more attractive and sustainable option, especially in the growing arena of specialized and tailored products and services. I explored this trend in our work on fragmentation and concentration trends in the economy.